2016 release. 22 stands for Justin Vernon. The number's recurrence in his life has become a meaningful pattern through encounter and recognition. A mile marker, a jersey number, a bill total. The reflection of '2' is his identity bound up in duality: the relationship he has with himself and the relationship he has with the rest of the world. A Million is the rest of that world: the millions of people who we will never know, the infinite and the endless, everything outside one's self that makes you who you are. The other side of Justin's duality is the thing that completes him and what he searches for. 22, A Million is thus part love letter, part final resting place of two decades of searching for self-understanding like a religion. And the inner-resolution of maybe never finding that understanding. When Justin sings, "I'm still standing in the need of prayer" he begs the question of what's worth worshipping, or rather, what is possible to worship. If music is a sacred form of discovering, knowing and being, then Bon Iver's albums are totems to that faith. The poly-fi record formed at the congruence of a bold yet delicate sonic palette. These sounds were the way out from the suffocating enclosure and captivity of anxiety. The ten songs of 22, A Million are a collection of sacred moments, love's torment and salvation, contexts of intense memories, signs that you can pin meaning onto or disregard coincidence. 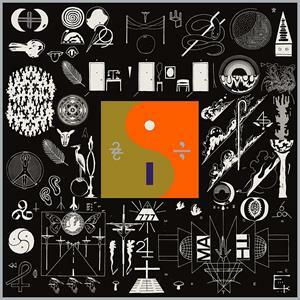 If 2011's Bon Iver, Bon Iver built a habitat rooted in physical spaces, then 22, A Million is the letting go of that attachment to a place.